Are you looking to create a sleek and contemporary look in your outdoor area? 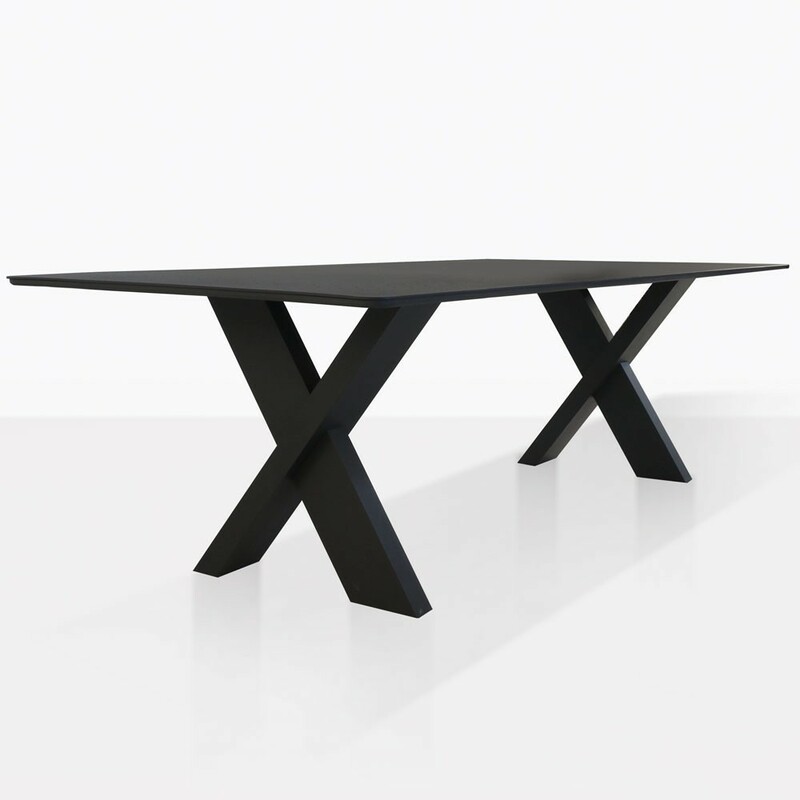 Behold the magic of design with the Illusion Outdoor Dining Table. 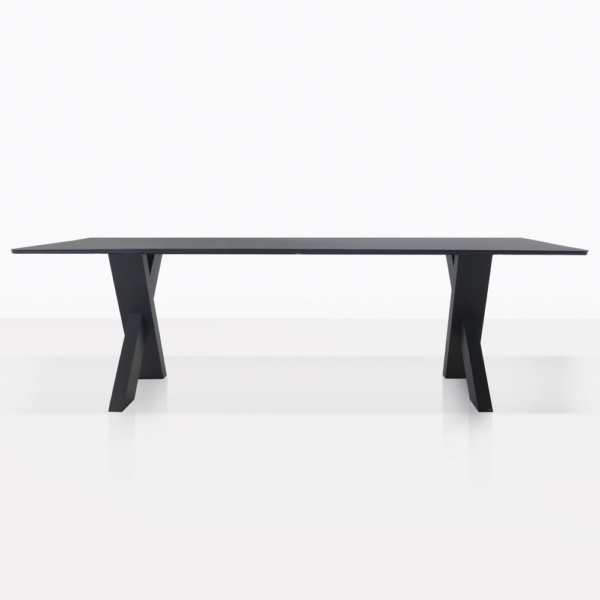 The Illusion Dining Table in powder coated aluminum has a stunning design with a striking profile. The dark charcoal color is dramatic and goes perfect with the thick cross legs. This is a table that defies expectations, and creates new ones with its expertly crafted presentation and materials used. The Illusion Dining Table in powder coated aluminum has a stunning design with a striking profile. The dark charcoal color is dramatic and goes perfect with the thick cross legs. This is a table that defies expectations, and creates new ones with its expertly crafted presentation and materials used. 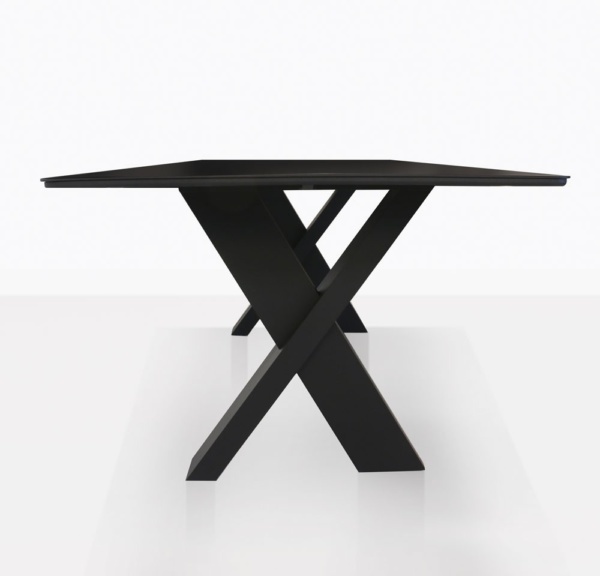 The Illusions rectangular tabletop has rounded edges and small holes. 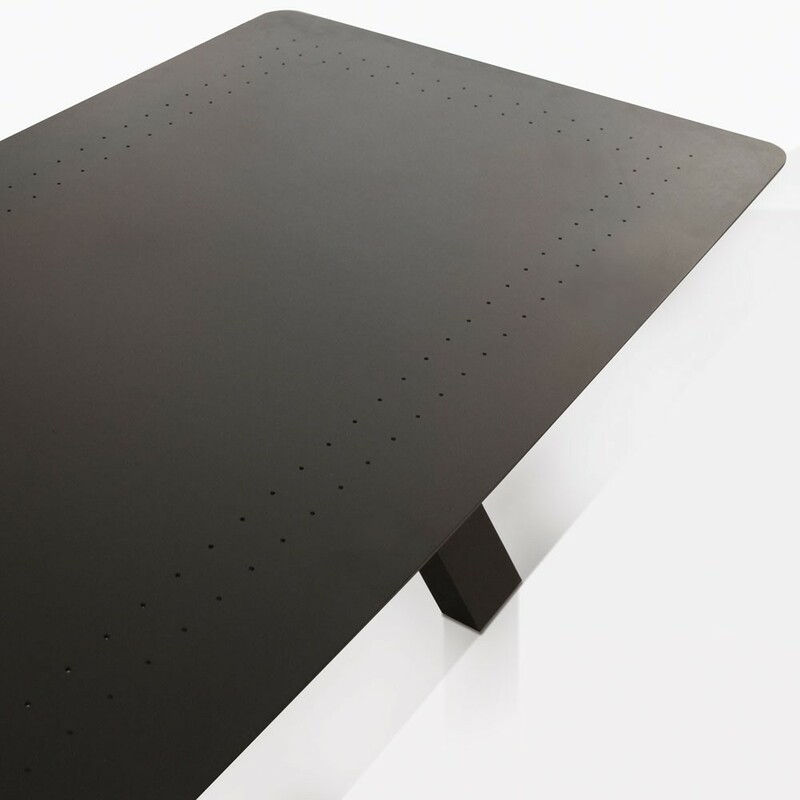 These holes add interesting texture to the top of the table while functioning to allow water to drain through. A simple element that makes it so much more effective for outdoor use! The Illusion Aluminum Outdoor Dining Table will complement so many of our outdoor dining chairs depending on the style you prefer! Perhaps the modern vibe is something you want to facilitate. Situate the glorious Illusion Dining Table underneath your awning surrounded by aluminum chairs in a similar shade for an incredible and prominent lasting effect. If you’re searching for something to uplift a country setting, then this is the table for you! Mix and match with wooden or wicker chairs for a delightfully eclectic impression you and guests will adore! Don’t be fooled by the hardy materials, you can design the perfect indoor dining space with this fantastic rectangular table. Envisage your warm family home, carpeted floors, and excellent art on the walls; it’s time for the ultimate contemporary upgrade! Place the Illusion Table in the center of your space and be dazzled by the strong, structural presence against the warm, comfort of your interiors. This Illusion Dining Table is made from premium, top of the line powder coated aluminum, a robust product that requires minimal maintenance, while creating a perfect space to enjoy refined, luxury outdoor furniture.